The Quick Recipe Set of 2 Ramekins feature a fun and innovative way for cooking great homemade recipes. 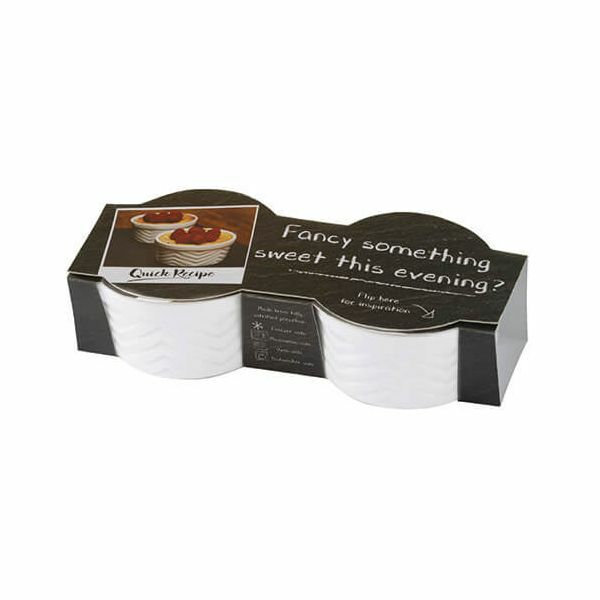 The packaging features a link and QR code that takes you to a video of a specially designed recipe for these Ramekins. Using your smartphone the QR code on the packaging also provides a step by step guide to access the recipes, which talks through ingredients and method of using your Ramekins. The Ramekins feature an embossed herringbone pattern on the outside of the porcelain finished with a high quality glaze. Suitable for heating food in the microwave and oven and ideal for storing food in the fridge and freezer. 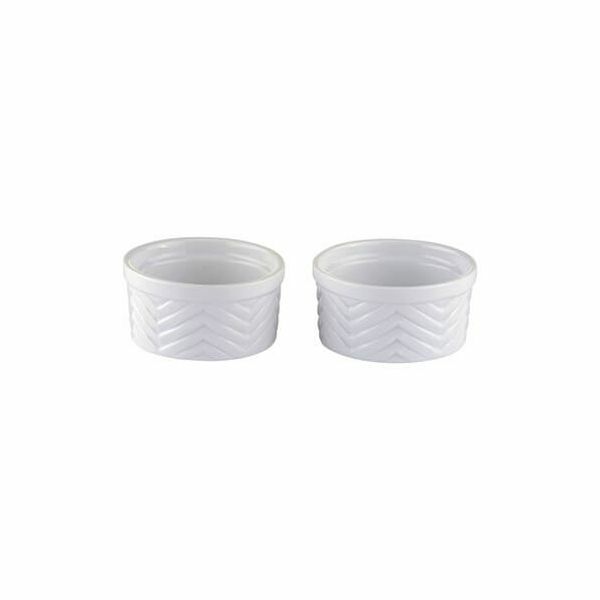 This Set of 2 Ramekins are suitable for washing in the dishwasher for easy and convenient cleaning. Dimensions 9.5 x 9.5 x 5cm.